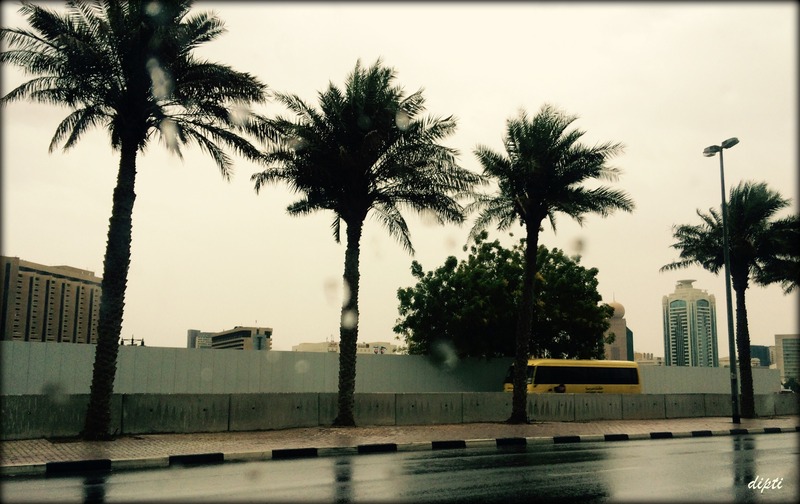 Rainy days like this are rare in a desert. And when it rains, everyone and everything gets alive and kicking, traffic included. My ideal rainy day is to wake up as per routine, decide to skip work, snuggle back into bed and much later in the afternoon, go on a long drive, hunting for ‘pakoras‘ n ‘chai’. Sigh! Back to reality. I did go to work and returned home to a fridge screaming at me to use its week old vegetables. 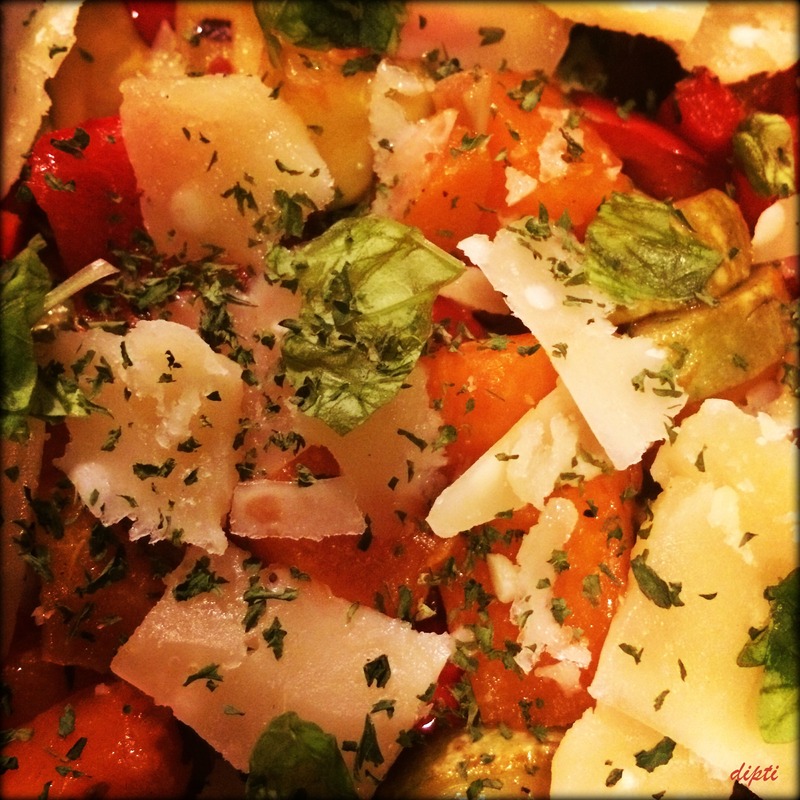 Result: Parmesan & Roasted Veggie Salad. It turned out much better than I thought it would. Warm roasted pumpkins, brinjal (or eggplant or aubergine as you wish to call it), juicy red capsicum (okay, so they are called red peppers) and a local variant of zucchini in a balsamic vinegar dressing along with whole wheat pasta for company. Served on a bed of lettuce for some more colour effect. The star of the dish, however, were the Parmesan shavings – a generous, delicious and calorific contribution to an otherwise healthy dish. No, those spicy Indian fritters cannot replace Parmesan or Pasta nevertheless, a bowl of this goodness provided a comforting end to a drab cold day.